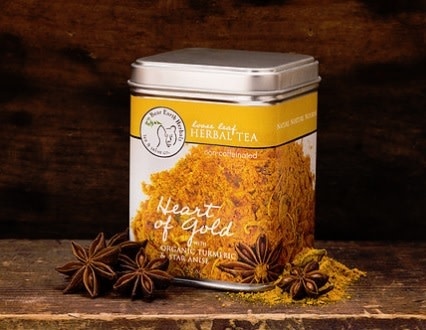 The Bear Den is excited to bring our customers a Heart of Gold loose leaf tea – featuring organic turmeric and star anise. This tea, and the others in our collection, are handpicked and harvested from pristine places throughout Northern Michigan, slowly dried, and mixed in small batches right here in Traverse City. *We are a gift shop, not your doctor. Make sure you consult them, too.